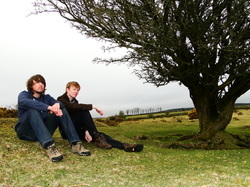 Jim and Tom during filming of "Sons of Moorland". 15 - Wingless Films' second anniversary. The Lite Blues Episode 2: Dinner Date is released. 14 - Jim and Tom guest on The Mollywood Show on Totnes FM. 08 - Filming for Film #35 at Burrator Reservoir in Dartmoor, with photo sets from David Burbury and Rick Stear. 02 - Filming for Film #35 in Torquay. 23 - Jim and Tom guest on The Mollywood Show on Totnes FM. 10 - Tom, Jim and David Burbury attend filming on Shields of Justice in Exeter. 08 - "Paella" from Locked Away is played on John Tomkins' Movie Lines on Riviera FM. 03 - Tom Menary's twenty-sixth birthday. 30 - Cantharsis is released. 19 - Jim and Tom guest on The Mollywood Show on Totnes FM. 16 - Filming on Cantharsis in Plymouth. 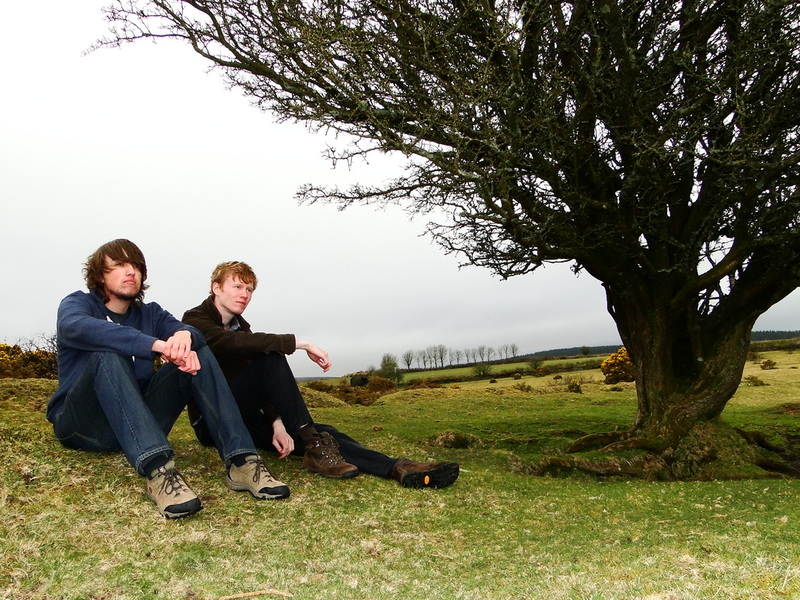 02 - Location scouting in Dartmoor. 28 - Jim guests on The Mollywood Show on Totnes FM. Tom attends filming on Shields of Justice. 27 - Premiere of They're Coming at Torquay Central Cinema, attended by Jim, Tom and cast and crew. 15 - Locked Away is released. 07 - Jim and Tom guest on The Mollywood Show on Totnes FM. 06 - Filming on Locked Away in Plymouth. 17 - Jim and Tom host The Kate and Mollywood Show on Totnes FM for the second of two weeks. 12 - Production meeting for The Lite Blues with Tom, Jim, Boyd and Julian. 10 - Jim and Tom host The Kate and Mollywood Show on Totnes FM for the first of two weeks. 05 - Location scouting in Torquay for The Lite Blues. 25 - The Lite Blues Facebook page is founded. 12 - The Lite Blues Episode 1: "The Slow Method" is released. 08 - Filming on The Lite Blues Episode 2 in Torquay. 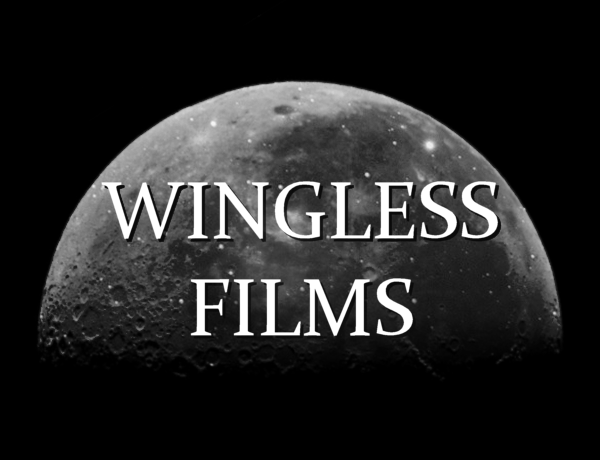 06 - The Wingless Films official site goes live. 04 - Filming on The Lite Blues Episode 1 at Dot's Pantry, Torquay. 25 - Solitude is featured as Film of the Day by Brett Gerry. 15 - Jim and Tom guest on The Kate and Mollywood Show on Totnes FM. 14 - Solitude is released. 27 - The Time Collector is released. 26 - Jim and Tom's photoshoot on Sharpitor takes place. The photos are released as "A Wingless Sunset" by Jim and "Sundown on Wingless Hill" by Tom. Footage is filmed for Solitude. 16 - Interview recorded with Jim and Tom for Totnes FM. 08 - Filming on The Time Collector in Dartmoor. "Stoicism of the moor in Wingless Films' Sons of Moorland" is released on Devon & Cornwall Film. Scout is nominated for Best Sci-Fi in the 2012 Limelight Film & Arts Awards. 03 - The shooting script for The Time Collector is completed. 25 - Sons of Moorland is released. 15 - Jim and Tom guest on The Movie Show on Riviera FM. 14 - Tom guests on John Govier's show on BBC Radio Devon along with John Tomkins, Lexie Carducci and Kirsty Symonds to discuss They're Coming. 09 - A first draft script for The Lite Blues Episode 1: "The Slow Method" (with the series working title of Cops) is completed, as well as draft scripts for an additional two episodes. 07 - Filming on Sons of Moorland takes place in Dartmoor. 06 - The shooting script for Sons of Moorland is completed. 13 - How to Lose Friends & Assassinate People is released. 06 - Filming ends on How to Lose Friends & Assassinate People at Plymouth University. 05 - Filming with Tom and Mike Kinsey in Princetown for Petriarch. 03 - "Vantage Point" preview photographs for How to Lose Friends & Assassinate People released. 28 - Filming begins on Petriarch. 21 - Location scouting for Petriarch in Ernsettle, Plymouth. 18 - Desert of Two Devils is released. 16 - The shooting script for Petriarch (with the working tile The Archway) is completed. 11 - Editing begins on Desert of Two Devils. 09 - Filming on Desert of Two Devils. Release of Intervention outtakes. Completion of the "WF Shoot" photoshoot. 06 - Intervention is released. Metal Snare Production releases Afterdeath and Robin Manford: Master of the Universe. 03 - The Film Show Episode 6 is recorded. 02 - Filming on Intervention. 23 - The revised draft script of Intervention is completed. 15 - Exile is released. 12 - Scoring of Exile by Tom. 11 - Filming on Exile at Lee Moor, Plymouth. Jim and Tom meet Rick Stear, who takes production photos during filming. 09 - Filming begins on Exile at Plymouth University. Footage shot for Wingless Films' 2012 Ident. 03 - The shooting script for Exile is completed. A revised third draft script of the unfilmed short, The Firebrand, is completed.